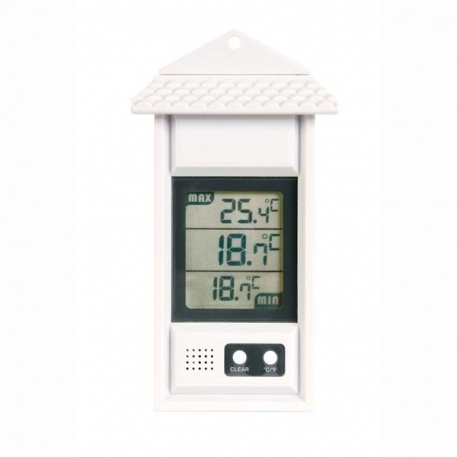 This digital greenhouse thermometer is ideal to monitor temperature in your greenhouse,conservatory or grow room. 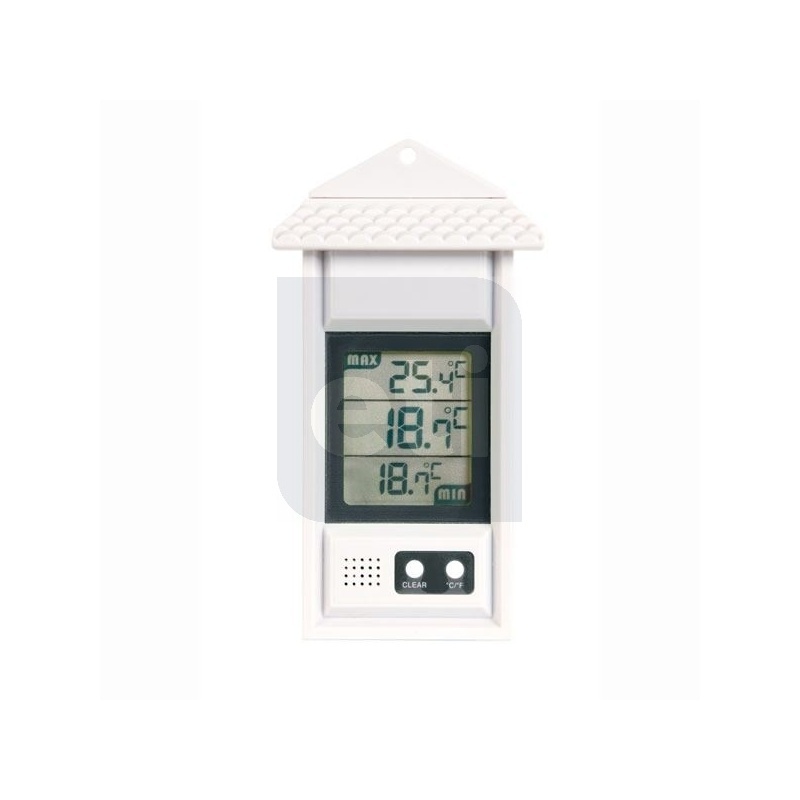 This digital max/min greenhouse thermometer simultaneously displays the actual temperature whilst displaying the max and min temperatures. 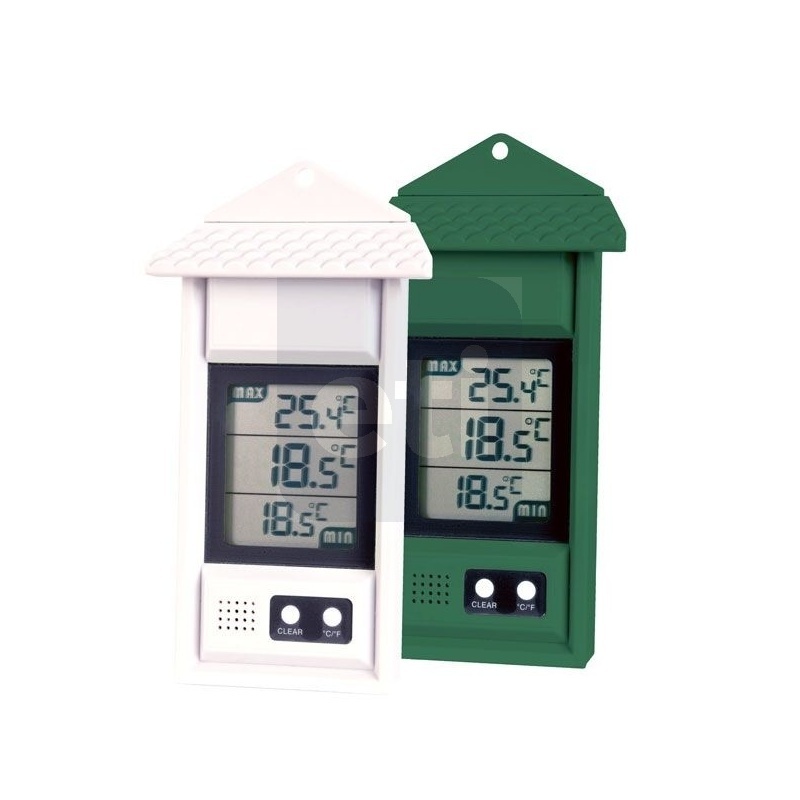 Each unit measures temperature over the range of -20 to 69.9 °C with a 0.1 °C resolution and are ideal for recording temperatures of grow rooms, growing cabinets, greenhouses etc. 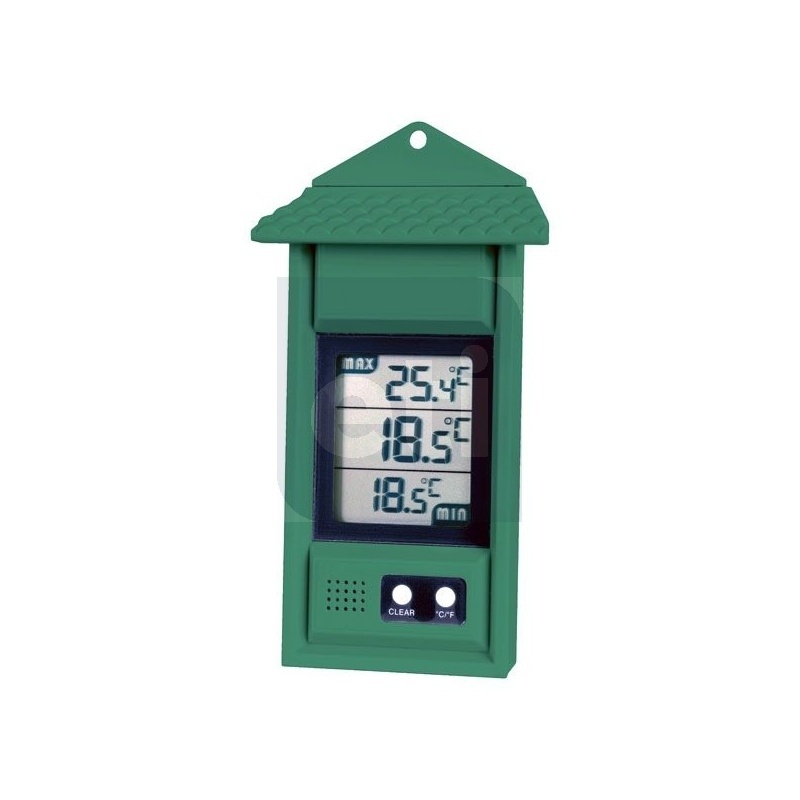 The unit is housed in a green ABS case measuring 30 x 80 x 150 mm. 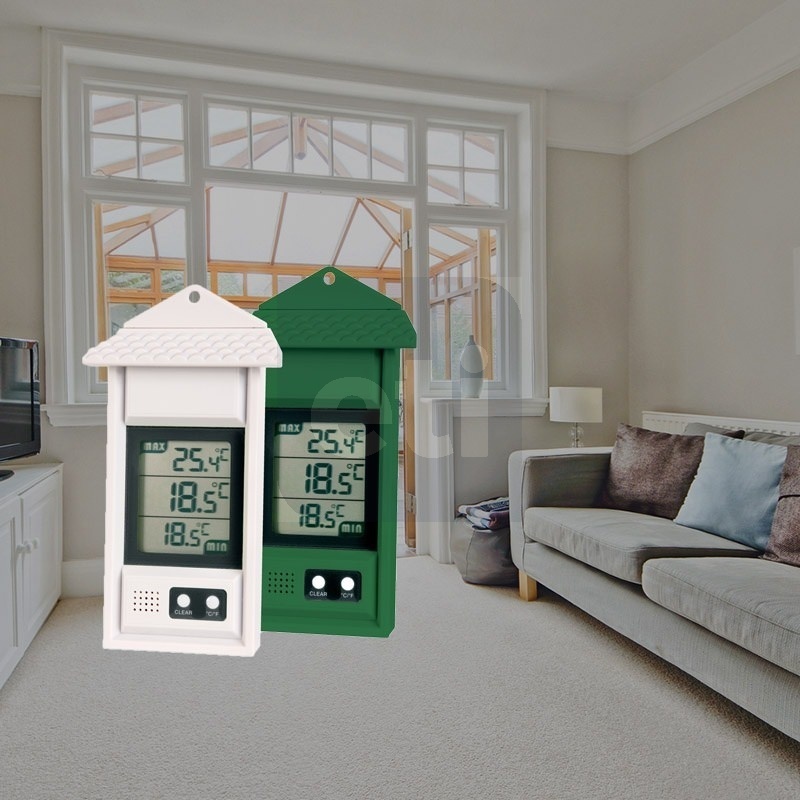 The instrument incorporates a slot for hanging.